Give yourself some time to consider everything; do not think that just because the housing society allows pets, you can move in. You must get information, knowledge, and insights about the property, the neighborhood, and of course, the people residing in that area. No one can do this job better than a professional realtor. 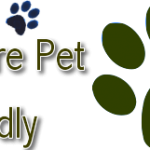 They will make sure that the area and residence is friendly for you and your furry friend. Make sure you contact a professional at least six weeks before your lease ends so that you can find your bud a dream home. After all, home is where your pet is. It is always a good idea to ask real estate agents if they can get you a listing of neighborhoods that allow pets. You can talk to animal care and animal control agencies to help you find the perfect location and your dream home. Step 3 – Responsibility Matters – Show it! Show the previous owners, the real estate agent, and your new neighbors that you are a responsible individual and you have trained your pet well. Make sure that your friend does not cause trouble for the neighbors. You can get your references from your previous housing society that your pet is a trouble-free and friendly pet. Show them that you are more than capable of taking care of it. Do not settle for less; think about your pal before you rush into anything. Get the best advice from real estate professionals in Peoria, AZ!